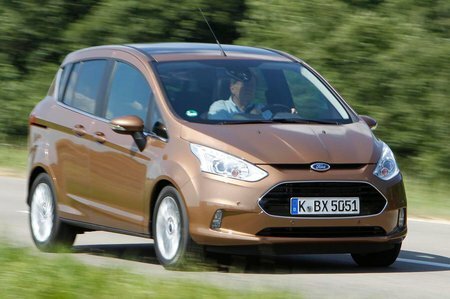 Ford B-Max Interior, Sat Nav, Dashboard | What Car? 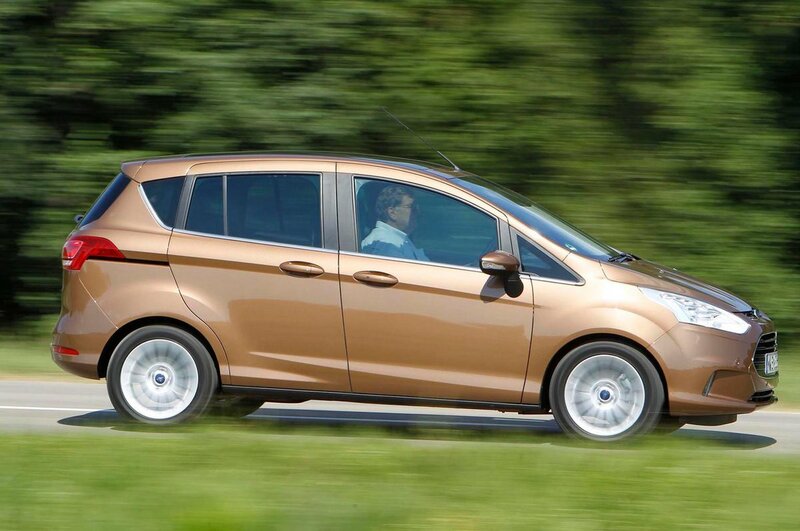 The B-Max has an excellent driving position. The seats are comfortable and supportive, while there’s plenty of driver’s seat adjustment, and the steering wheel is adjustable for both reach and height. The dashboard is a rather busy place with lots of shapes, curves and buttons, although the main instruments are clear and easy to read. You might find that some of the buttons are rather small, though, and the centre console is quite cluttered, so you’ll need to concentrate on finding the one you're after, even if all the controls are quite logically placed. 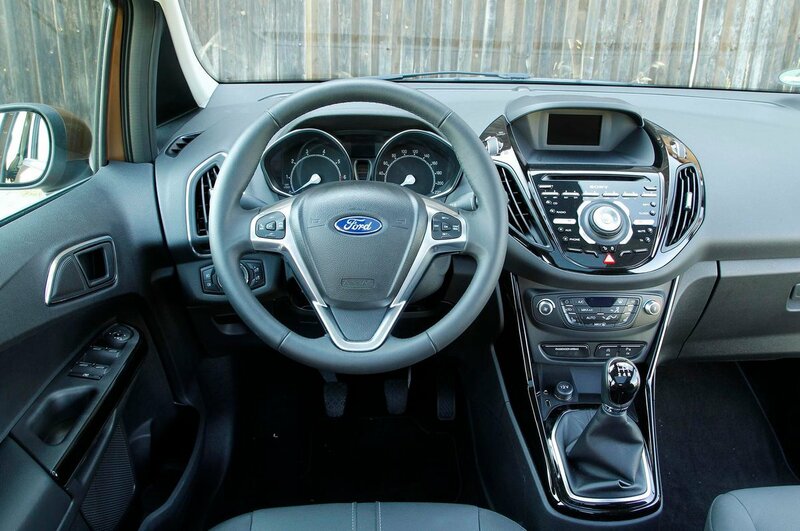 All versions come with a DAB radio and a USB socket, and all but the entry-level Studio come with Ford Sync, a Bluetooth-enabled device with a voice control system that enables you to connect up to music and phone calls. There’s a digital display at the top of the dash, but it’s looking rather dated now as newer rivals offer much larger screens with higher definitions. It might not have a central pillar, but the doorframes that meet up there instead do create a noticeable blind spot in the B-Max, especially at angled junctions. Otherwise, you sit up high so visibility forward and back is good. Front and rear parking sensors are available on all trims as a cost option, and a rear-view camera is available as an option on Titanium and Titanium X trims.